Indians Baseball Cards: Tribe Cards! 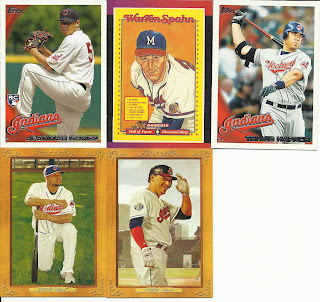 No, really, I mean Tribe cards! 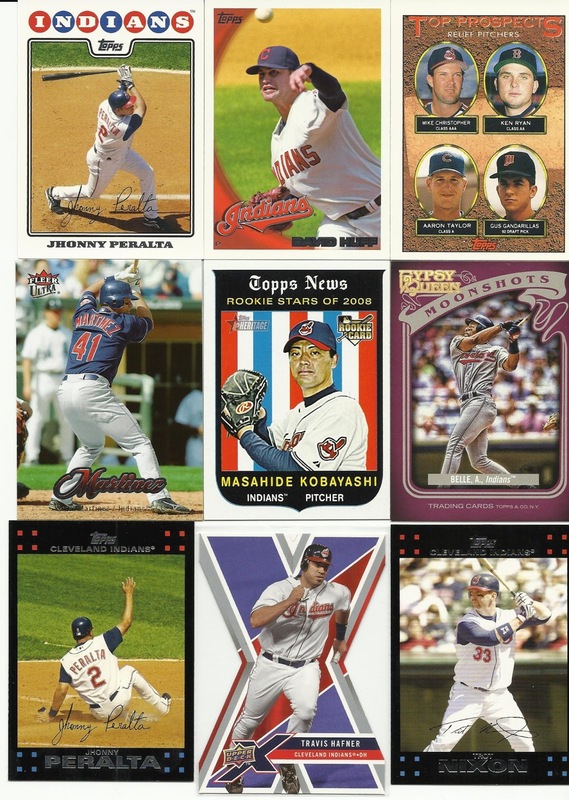 Tribe Cards! 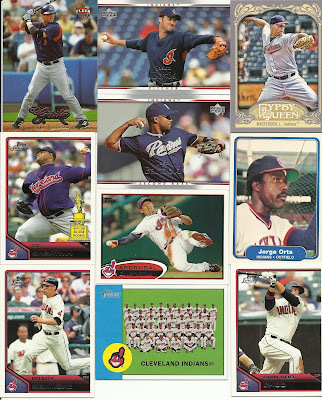 No, really, I mean Tribe cards! I've been meaning to post these for a few days, but just hadn't done it between our mini vacation/getaway and biffing various aspects of the giveaway. A good while ago, I received two packages in the mail. One came from Oscar and the other from Crackin' Wax. My apologies to both of you, but I don't remember which cards came from which sender, (and I'm sure I have mixed them up) but I am lovin' all the Tribers in these mailers. 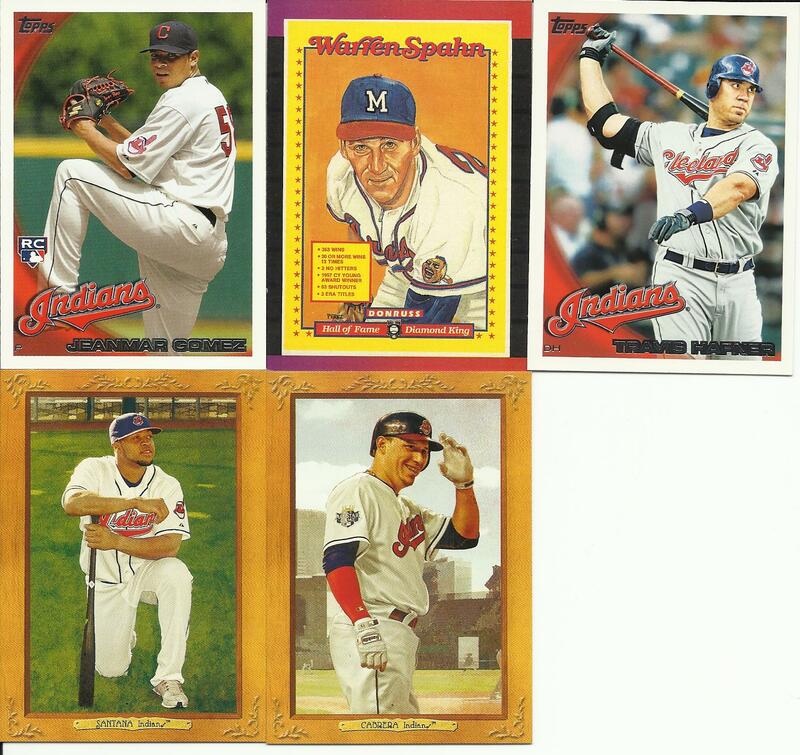 Now, you may be asking yourself, "What is that Warren Spahn doing in there?" I have no idea. I'm guessing it was part of the break/contest/gift from which these cards were a part. Then again, maybe it was just a "happy accident." In any case, THANK YOU very much to Oscar and Crackin' Wax for these cards! Glad you're enjoying your loot! UGH, Draft Sheet was wrong. Get Your Draft Picks On!